If you’ve ever played, lis­tened to, or researched any­thing by Anto­nio Vival­di, then you’ve prob­a­bly run into the mish­mash of dif­fer­ent num­ber­ing sys­tems for his works. There are in fact five sep­a­rate cat­a­loging schemes for Vivaldi’s instru­men­tal pieces, each with its own inter­nal log­ic, and there’s no sim­ple way to con­vert from one to anoth­er on the fly. It can thus be incred­i­bly frus­trat­ing to go from a schol­ar­ly arti­cle to per­form­ing edi­tions to crit­i­cal or com­plete works edi­tions to record­ings, as each of those media may well ref­er­ence a dif­fer­ent num­ber for the same piece. 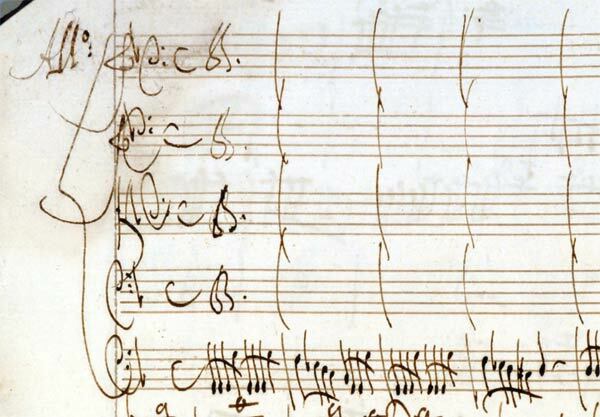 I’ve spent quite a bit of time think­ing about Vivaldi’s 39 bas­soon con­cer­ti. The Meg Quigley Vival­di Com­pe­ti­tion, for which I’m the Direc­tor of Oper­a­tions, uses a dif­fer­ent Vival­di con­cer­to each time around. I wrote the lin­er notes for the first disc of Nad­i­na Mack­ie Jack­son’s series of all the con­cer­ti. 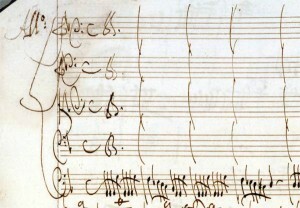 Last year I cre­at­ed a new per­form­ing edi­tion of his Con­cer­to in g minor, RV 495. Through­out, I’ve been able to keep all the num­ber­ing sys­tems straight thanks to Jef­frey Lyman’s excel­lent Table of Con­cor­dances: Vival­di Con­cer­ti for Bas­soon. This table lists all 37 com­plete con­cer­ti along with their des­ig­na­tions in each of the five num­ber­ing sys­tems, and builds on work by Trevor Cramer and George Con­rey. A cou­ple of weeks ago, I start­ed teach­ing a high school vio­list who decid­ed that she’d like to play the bas­soon. Not know­ing if she’d got­ten her hands on a fin­ger­ing chart or not, I decid­ed to take one to her les­son. I have quite a few charts lying around, but as I looked through them, I real­ized that I didn’t com­plete­ly agree with any of them, at least not for use by a begin­ning stu­dent. I end­ed up tak­ing her a copy of a chart that I’d got­ten from the Conn-Selmer web site, but only after I’d marked it all up with a pen. It turned out that she did have a fin­ger­ing chart already, but I didn’t com­plete­ly agree with it, either. As I was dri­ving home from her first les­son, I thought to myself how sil­ly it is to give a stu­dent a fin­ger­ing chart that I’ve marked all over, espe­cial­ly since this cer­tain­ly isn’t the first time I’ve done so. I resolved then and there that I’d make my own fin­ger­ing chart. Awhile ago, I’d come across the very cool and well-thought-out Fin­ger­ing Dia­gram Builder built by Bret Pimentel, mul­ti­ple-wood­winds teacher at Delta State Uni­ver­si­ty. (You can read more about the FDB here). But until now, I hadn’t done any more than just play around with it. I used Bret’s FDB to crank out an image for each of my basic fin­ger­ings. I includ­ed my most com­mon alter­nate fin­ger­ings, but didn’t get into slur, mut­ed, trill, or oth­er vari­a­tions. Once I had all of the images, I had to decide how best to lay them out with­in a score. I’ve been using Finale for years, but I’d recent­ly start­ed play­ing around with Lily­Pond. Lily­Pond is an open-source music engrav­ing pro­gram that pro­duces very nice-look­ing scores — far clos­er in appear­ance to good old-fash­ioned hand engrav­ing than Finale’s often jagged and weird­ly-spaced out­put. The down­side (if you choose to see it that way) is that Lily­Pond has no graph­i­cal user inter­face; it gen­er­ates scores from spe­cial­ly for­mat­ted text files, and is in that way more like a pro­gram­ming lan­guage than a tra­di­tion­al nota­tion pro­gram. But, I’d been look­ing for a project to under­take with Lily­Pond, and this seemed like just the thing. It took awhile to get the hang of Lily­Pond, and some for­mat­ting things I only ever got by tri­al and error. But, I final­ly end­ed up with two ver­sions of my per­son­al fin­ger­ing chart. The first is the one I’ll hand stu­dents. It cov­ers the more-or-less stan­dard range of the bas­soon (Bb1 — E5), uses only bass and tenor clefs, and includes a dia­gram with key names. 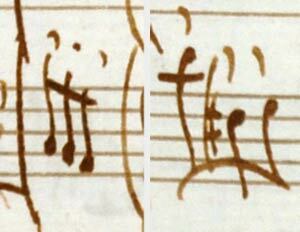 The sec­ond, which I’ve dubbed my “Pro” chart, dis­cards the key dia­gram and switch­es to tre­ble clef at the top end. Oh, it also goes up to Bb5 (although I don’t yet have a reli­able fin­ger­ing for A5 — any­body?). Since Bret has made the dia­grams gen­er­at­ed by his FDB avail­able under a Cre­ative Com­mons Attri­bu­tion-Non­Com­mer­cial-Share­Alike 3.0 Unport­ed (CC BY-NC-SA 3.0) license, I’ve done the same with my charts. Please, take a look and let me know what you think. Is there any­thing I could do to make them eas­i­er to read, eas­i­er to use, or just plain look nicer? Or do you spot any fin­ger­ings that I’ve ren­dered incor­rect­ly?